The third Tuesday of every month at The Alley in downtown Ashland, an average-sized dinner crowd transforms into standing room only as the big screen is switched from a game to a slideshow presentation. This is Science on Tap, where students, scientists, and community pour into a bar and restaurant for drinks, food, and an evening of educational entertainment. 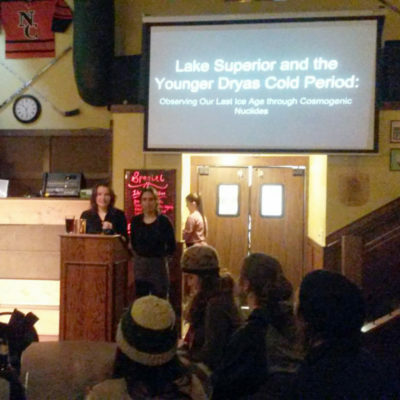 In February, legs dangled through the railings of the balcony overhead as everyone in the jam-packed barroom found a comfortable place to listen to Northland geology seniors Karlee Prince and Michelle Morency. 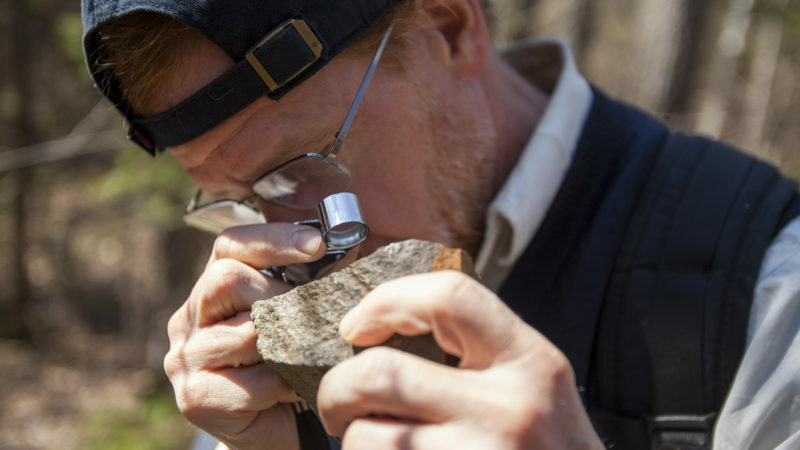 Geology professors David Ullman and Tom Fitz sat at a table and listened along as Prince and Morency explained how cosmic rays from supernova explosions have deposited historical evidence in boulders. 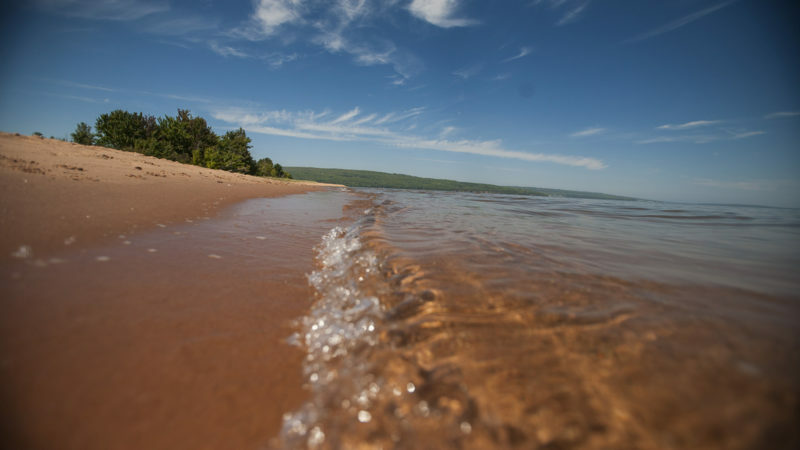 The two undergraduates spent the fall of their junior year collecting candy-bar-sized samples from the top two centimeters of boulders in Bayfield County and Michigan’s Upper Peninsula. The following summer, they took their samples to a lab in Madison for physical and chemical separation. Clicking through photos from the field, Prince explained their research processes. “What we were looking for is an isotope called Beryllium-10—even just a couple atoms of it could tell us a lot,” she said as four more people entered the room and found a seat on the stairwell. “First we had to separate the quartz from all the other minerals, and then separate the Beryllium-10 from the quartz,” added Morency. They went on to connect their findings to the glacial history in the surrounding area, talking about when modern-day Ashland was covered by a glacier and the nearby Brule River actually flowed the opposite direction, towards the Mississippi and the Gulf of Mexico. When this glacier retreated, the Brule flowed back towards what is now Lake Superior. This switching of watershed directions caused massive changes in lake levels, and the routing of fresh water to the St. Lawrence Seaway caused a rapid cooling in the North Atlantic. In short, these two undergraduate geologists pieced together the ancient story of changing lake levels and climatic conditions by searching tirelessly for atomic traces of star beams. As the presentation ended, the bar filled with spirited applause. Then after several questions from the audience, friends and strangers approached Prince and Morency with thanks and congratulations. Around the room, the conversation grew louder as attendees debriefed from their barstools. 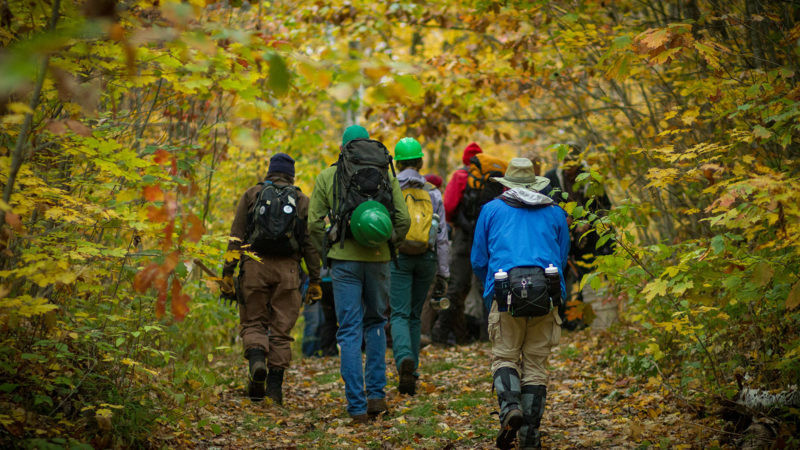 “Their presentation really made me appreciate how all the beauty and recreation that bring people to this area is rooted in an amazing history,” said Katie Lamoreaux, a senior studying outdoor education at Northland. The first Science on Tap presentations in Wisconsin began in Madison in 2007 and were organized by Mary Kay Bates. Bates coordinated with the University of Wisconsin to find scientists willing to present their work to an appreciative audience. She moved north in 2008 and started the Ashland chapter of Science on Tap in the summer of 2011. Prince and Morency are the first undergraduate researchers to present at Science on Tap but that’s not the only recognition their findings have earned them. Their research took them to Washington DC in December for the American Geophysical Union’s fall meeting. 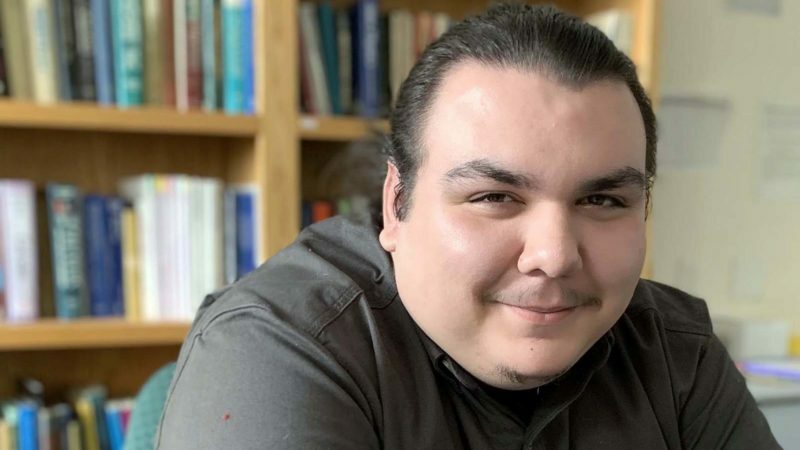 Update (April 2019): Shortly after Science on Tap, Prince accepted an internship through the USGS and National Association of Geoscience Teachers. 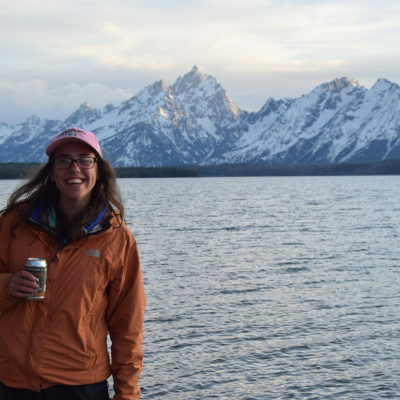 She’ll be working in Reston, Virginia, with a USGS scientist on sediment cores and the drought history of the Southeast.